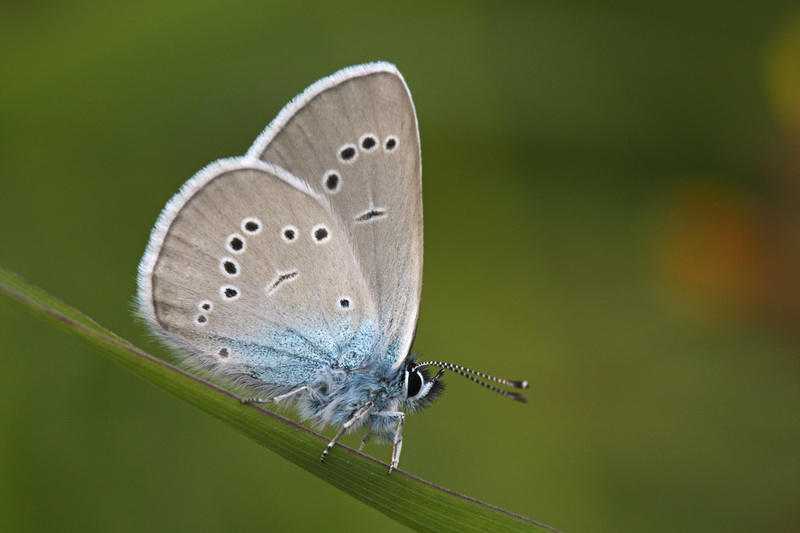 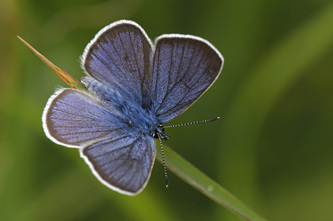 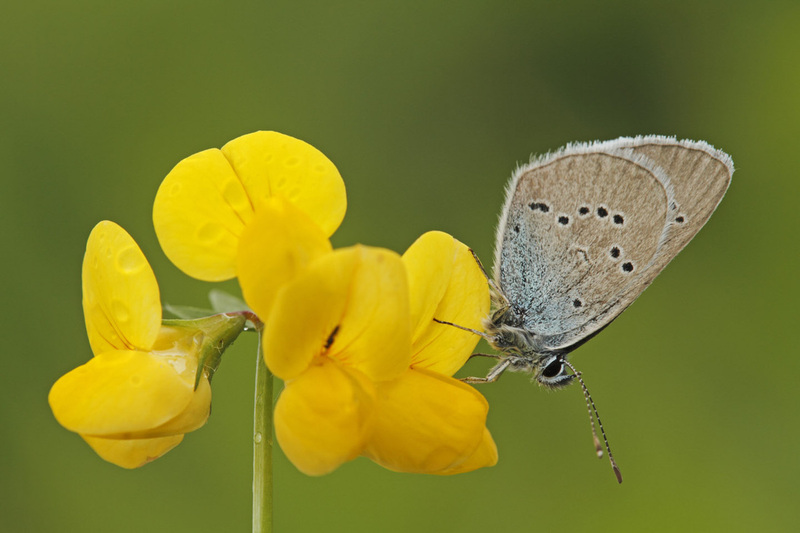 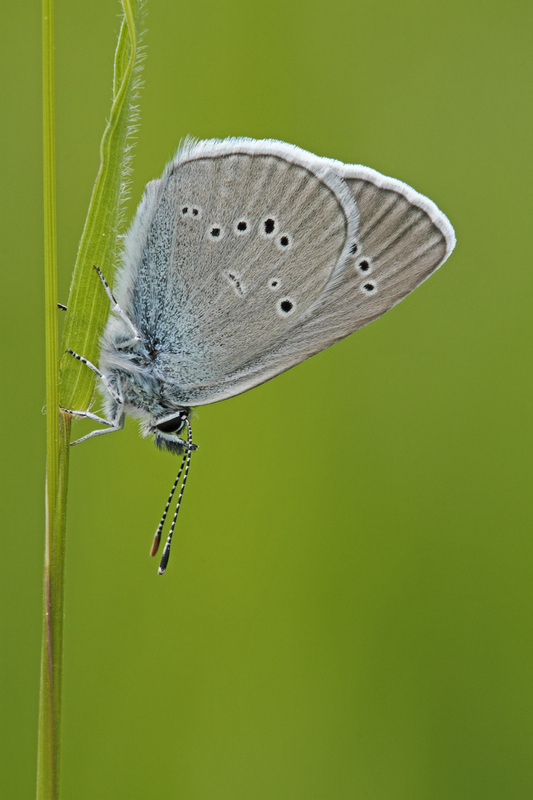 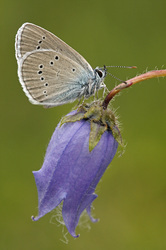 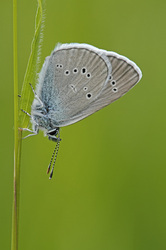 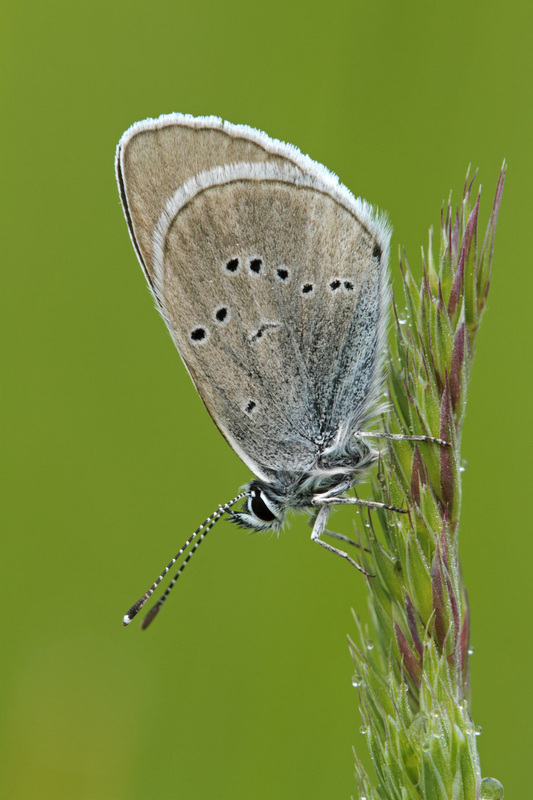 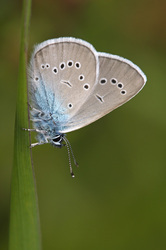 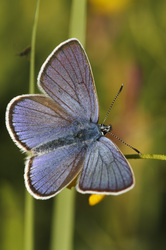 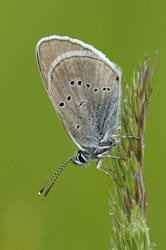 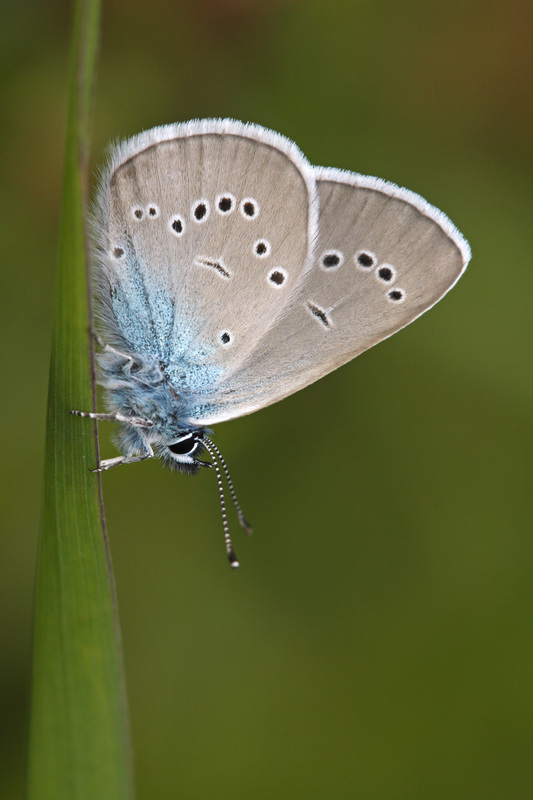 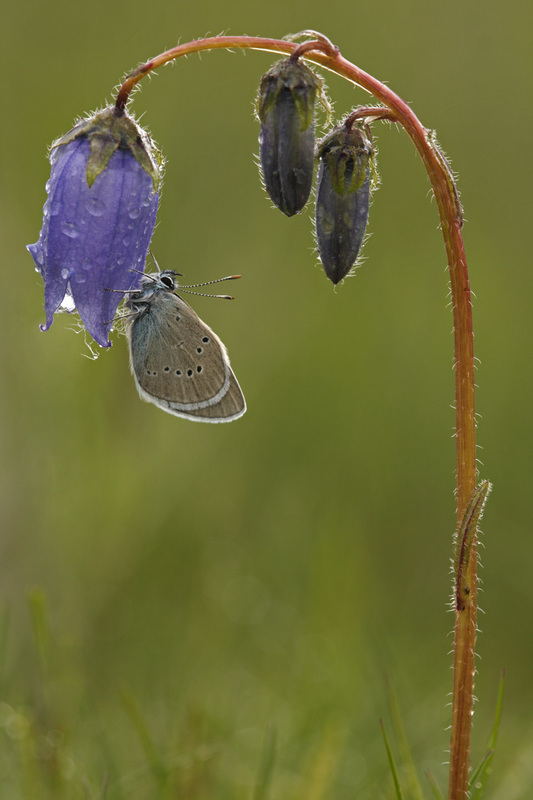 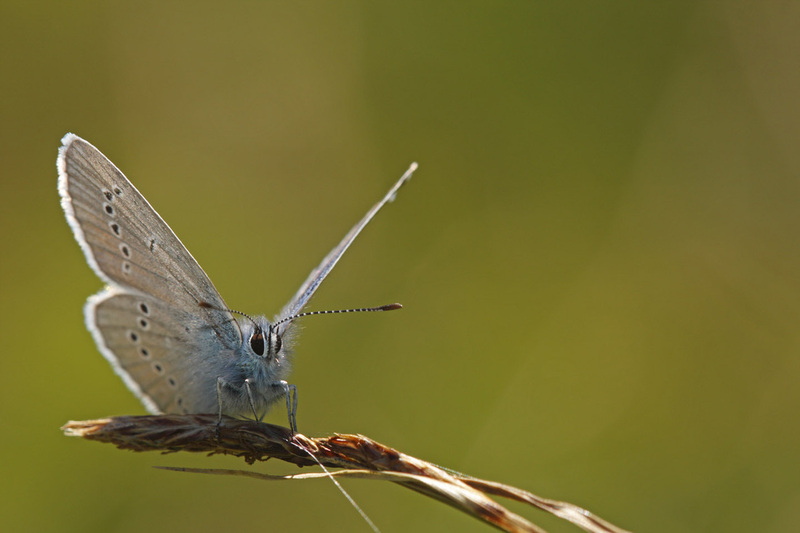 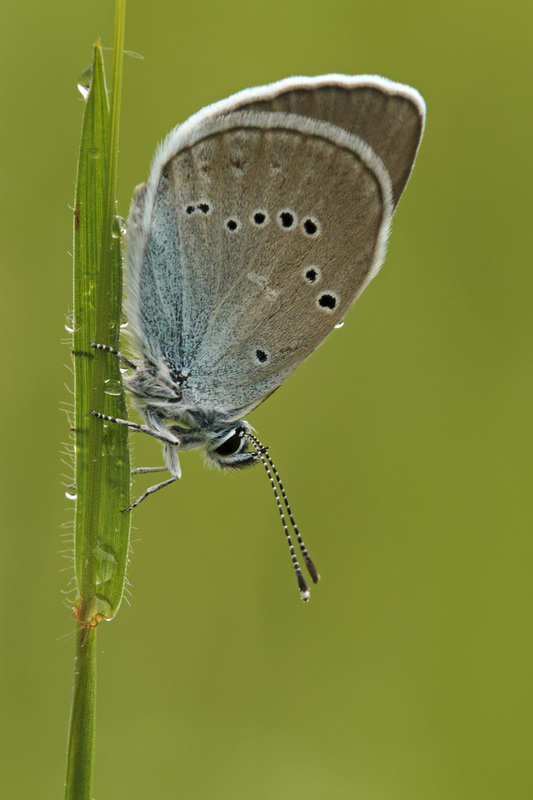 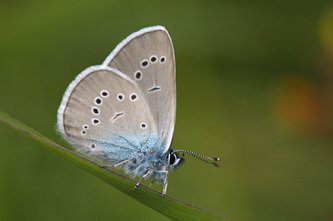 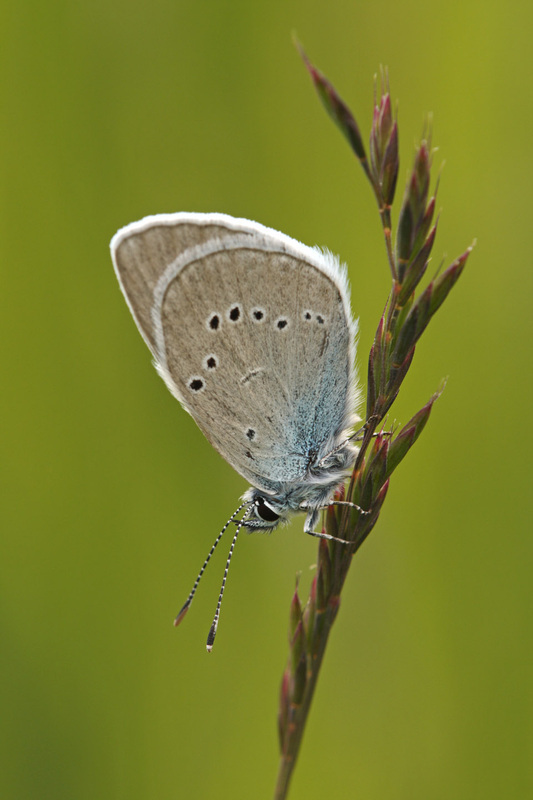 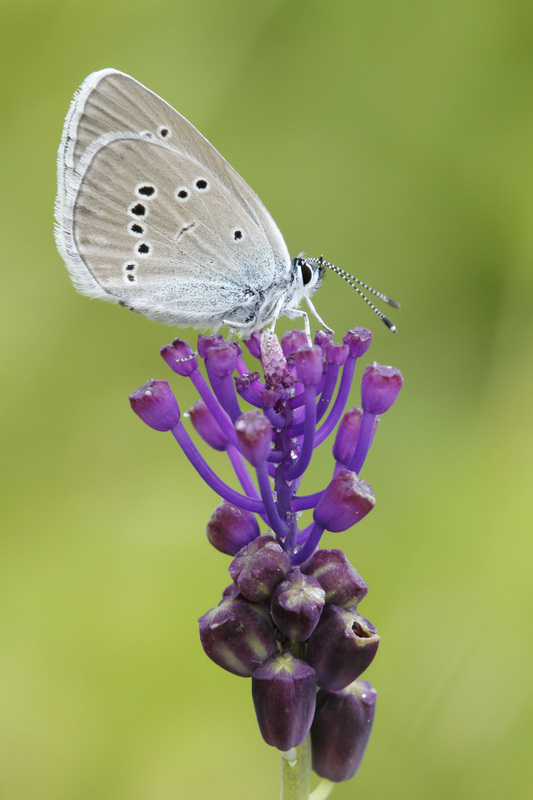 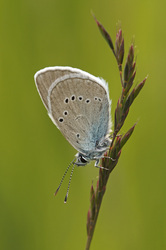 The male upperside is deep violet-blue and unmarked apart from the narrow black borders. 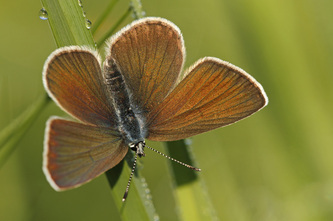 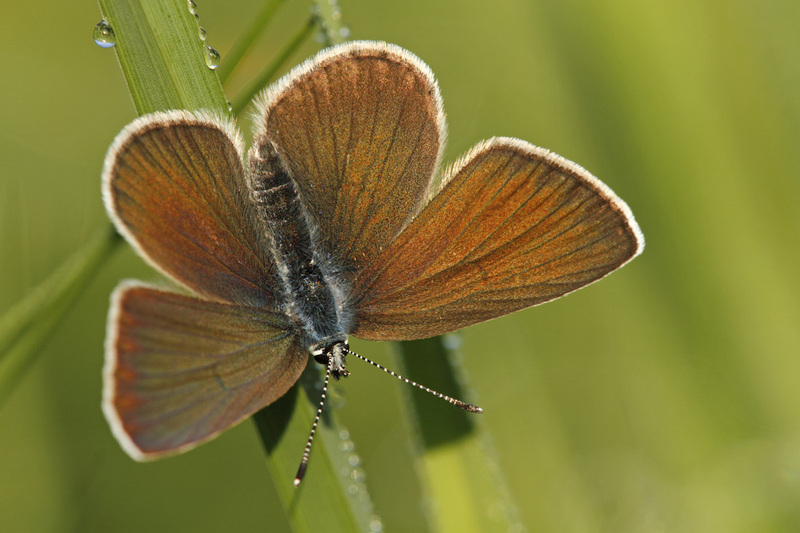 The female upperside is chocolate-brown, sometimes with a faint violet flush at the base. 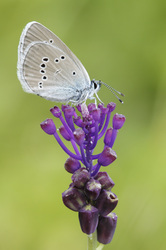 Both sexes have prominent white fringes. 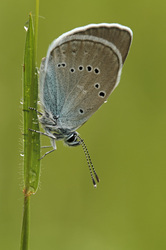 The undersides are pale brown in both sexes with small, white ringed black spots and a slight blue flush near the base. Flight from May to October. 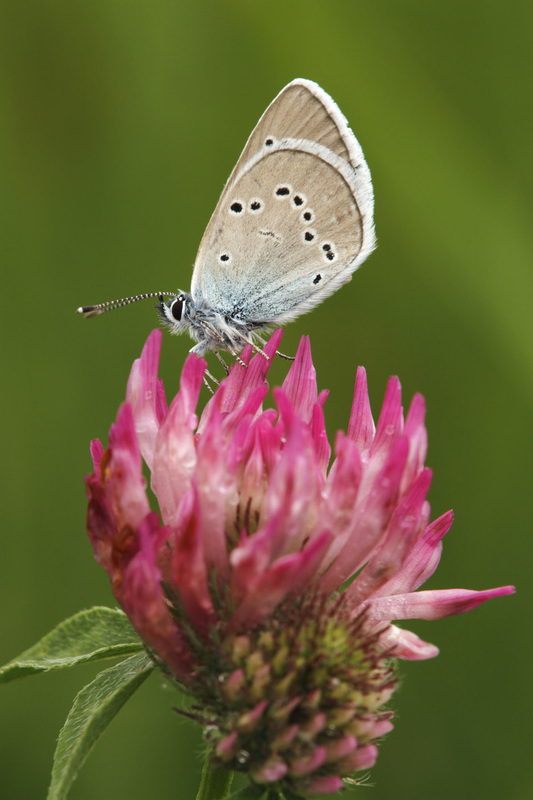 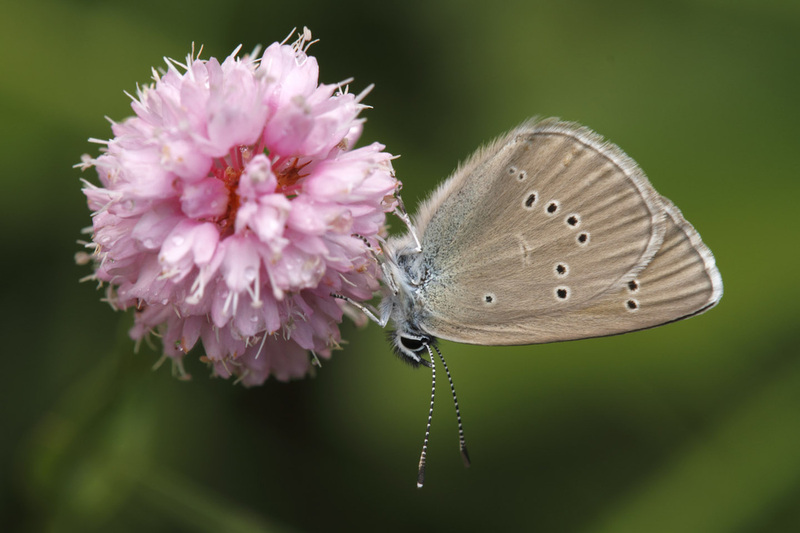 The major larval foodplant is Red Clover.